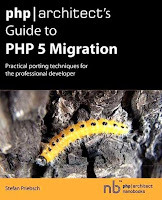 php/architect's Guide to PHP 5 Migration /by Stefan Priebsch. 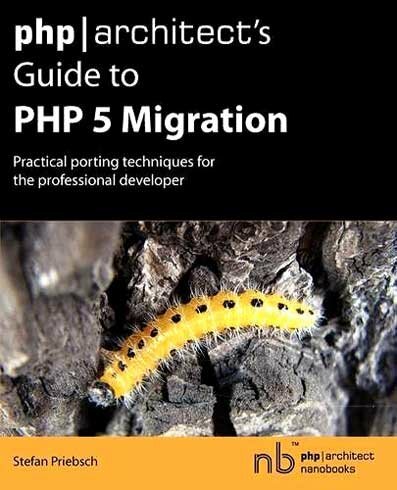 This is the only book you will need to help you through the rough spots when migrating your PHP apps from PHP4 to PHP5. Not only is this an extremely comprehensive and in-depth resource, it will show you virtually every pitfall you may encounter and will undoubtedly make your migration as smooth as possible. The topics covered in this book include: Migration Concepts Strategies for Migration Migration Aspects Preparing the Migration The Migration After the Migration Tools Migrating PHP Code You will not find a more extensive book anywhere on this topic.